Popovic was born in Jajce, Bosnia, on 10 September 1905. At the time of the German invasion of Yugoslavia, Kapetan Vojislav Popovic was commander of the 111. Lovacka eskadrila of the 36. Lovacka grupa, 5. Lovacki puk. The eskadrila were equipped with Hawker Furies and based at Rezanovacka Kosa airfield near Kumanovo (now FYR Macedonia). On 6 April 36. grupa at Rezanovacka Kosa opposed the first German attacks. Two Furies were off at sunrise for a patrol towards Kratovo. The grupa had been warned before dawn to expect air raids and the rest of the grupa were strapped into their fighters with engines ticking over when some 30 Bf 109Es and Bf 110s, mainly from LG 2 and II/ZG 26, swept in to attack the airfield. Most of the Yugoslavian aircraft managed to get airborne and only one Fury, one RWD 13 and three training aircraft (BH-33Es ?) were destroyed on the ground. In the air however, the 111. eskadrila was caught at a grave disadvantage at the point of take-off, although their fate did allow 112. eskadrila pilots to gain some height before giving battle. In minutes eleven Furies, including the two on patrol, were shot down, or had been destroyed in force landing after suffering severe damage. Seven Yugoslavian pilots were killed and one was wounded, among the dead were both eskadrila commanders, Kapetan Popovic (111. eskadrila) and Kapetan Konstantin Jermakov (112. eskadrila). Eleven victories over the Furies were claimed (correctly!) by the Bf 109E pilots and by Bf 110 pilots of II/ZG 26. Three victories were credited to Oberleutnant Erwin Clausen of 3./LG 2 (victories number 6-8) between 06:11 and 06:20, while Leutnant Fritz Geisshardt of Stab I/LG2 claimed four victories (victories nos. 14-17) during the same time. Additional Furies were claimed by Feldwebel Wilhelm Schneider, 1./LG 2, Unteroffizier Werner Schleritz, 1./LG 2, Unteroffizier Otto Riedl, 3./JG 77 and Unteroffizier Quatember, 3./LG 2. In return the Yugoslavs claimed three Bf 109Es and two Bf 110s shot down. Three of the victories were claimed by ramming with fatal result to the pilots. Jermakov was seen to ram the wing of a Bf 110 - presumably deliberately - after his ammunition was exhausted. The other two pilots involved in ramming attacks were Popovic, who was credited with a Bf 110, and Porucnik Milorad Tanasic, who was credited with an enemy fighter (presumably a Bf 109). One aircraft of I(J)/LG2 was lost, Oberfeldwebel Heinz Eckhardt being reported missing, while one more of this unit’s Messerschmitts and three others from II(Sch)/LG2 crashed on return to Vrba, Belica and Plovdiv, though whether as a direct result of damage sustained in combat is not known. 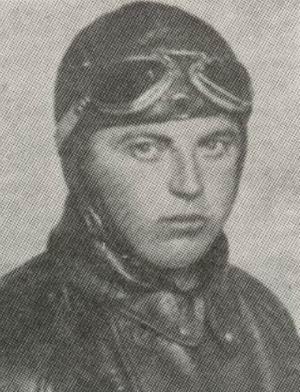 However II/ZG26 lost two Bf 110s, Feldwebel Helmut Recker and Unteroffizier Adolf Sondermann and their gunners all were being lost. The Yugoslavs reported that the body of a Bulgarian officer was found in the wreckage of one Bf 110, who it was presumed had directed the Germans to their targets. Following the attack only two 36. grupa Furies remained flyable, both setting out later in the day to Stubol landing ground to be incorporated into 35. grupa. One ran out of fuel on the way and crash-landed, only one surviving. Bf 110s probably destroyed this sole surviving Fury of 36. grupa on 8 April in an attack on Stubol airfield. At the time of his death Popovic was credited with one biplane victory. (a) Claimed in a ramming attack. Yugoslavian fighters claimed three Bf 109Es and two Bf 110s. II/ZG 26 lost two Bf 110s (Feldwebel Helmut Recker and Unteroffizier Adolf Sondermann and their gunners all lost) and I(J)/LG2 lost one aircraft (Oberfeldwebel Heinz Eckhardt MIA). Four other German fighters crashed on return. Vazduhoplovne Zrtve 1913-1945 – Dusan Cirovic, 1970, Zemun, kindly provided by Nenad Miklusev. Additional information kindly provided by Lars Larsson and Nenad Miklusev.